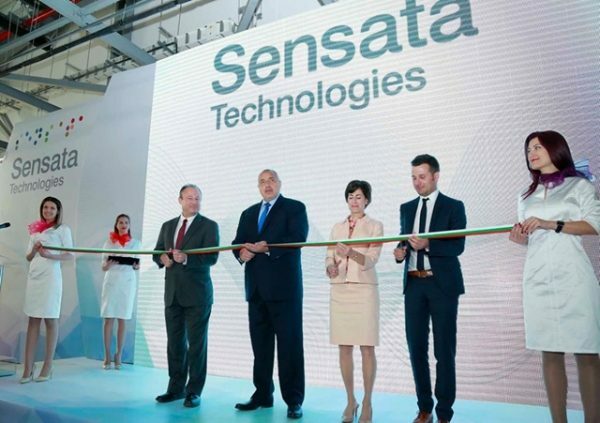 More than 1200 jobs will be created in a new high-tech plant near Plovdiv, an investment of $40 million by US company Sensata. The plant will produce sensors and electrical protection devices for use in motor vehicle and aircraft production. This is the American company’s second plant in Bulgaria. The first is in Botevgrad, employing 1850 people. Prime Minister Boiko Borissov cut the ribbon at the official opening of the new plant on April 8 2016, accompanied by US ambassador Eric Rubin, Plovdiv mayor Ivan Totev, Maritsa mayor Dimitar Ivanov, Plovdiv regional governor Zdravko Dimitrov and Menda Stoyanova, head of the National Assembly committee on the budget. Borissov said that the new plant, near the village of Tsaratsovo, was proof of the improved investment climate in Bulgaria. Such investments are key to reducing unemployment and increasing economic growth, Borissov said. “When years ago they criticised me, that asphalt is not edible (a reference to Borissov’s signature theme of motorway-building), we answered them that the more we do in regard to infrastructure, for some years afterwards investors will come, more jobs will be created, there will be better pay, because these companies, especially the high-tech ones, pay better and it’s possible to eat,” he said. Bulgaria had made a name for itself in high technology, Borissov said. Driving on Trakiya Motorway – that links Sofia to Bourgas and Bulgaria’s southern Black Sea coast via Plovdiv – was “as if you are driving on a city road, with factories on all sides”, Borissov said in an apparent reference to the burgeoning enterprises in industrial zones around Plovdiv. “The statistics, to which I usually do not pay any attention, clearly show that unemployment is dropping, investment is rising and economic growth has passed three per cent,” he said.